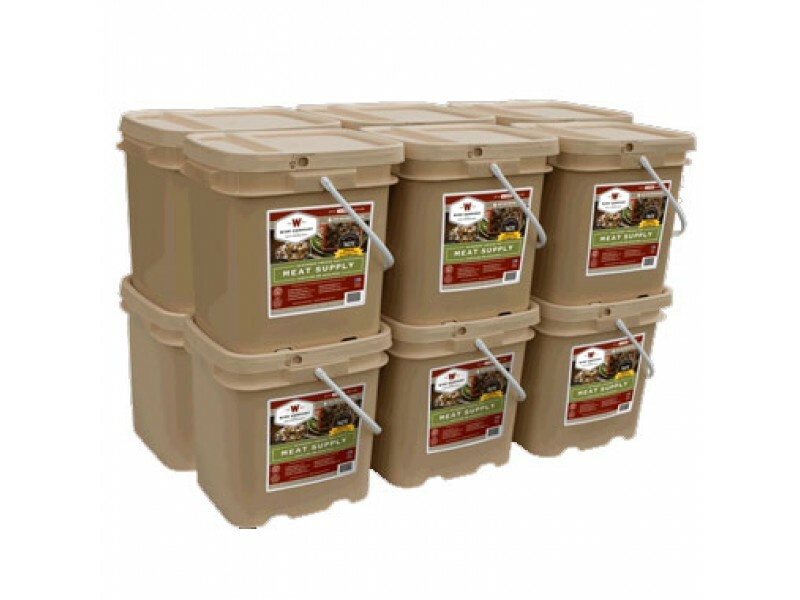 Freeze dried meat are perfect for emergency preparation, and this package of 720 servings of meat is a great way to build up your stockpile. Included with the meat is an additional 240 servings of rice, bringing the total food to 960 servings. The foods are packaged with different seasonings and sauces to ensure everyone not only has something to eat, but something they can enjoy. With easy cooking instructions, anyone can prepare a meal in their home, or even out in the wilderness if necessary. 720 servings of assorted, seasoned, freeze dried meat, combined with 240 servings of rice make a total of 960 servings of nutrient packed food for your emergency preparation. 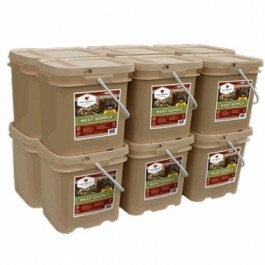 You’ll have enough food packed away for you and your family to survive virtually any situation. This is a great way to stock up on the food you’ll need for a short term emergency, or to get you through the initial stages of any long term disaster. In the event of a long term emergency, you’ll be able to use the food in this Wise Foods package to get you established with new sources of food. You can get through a cold winter or any other scenario where normal sources of food are unavailable. All of the food in these packages is designed to not only taste great, but also provide you with the nutrients to keep you strong and healthy. Included in this pack is 144 servings of roasted chicken, 96 servings of teriyaki style chicken, 96 servings of stroganoff beef, 96 servings of cheesy beef, 144 servings of savory roasted beef and 144 servings of southwest style chicken. Included with the freeze dried meat is 240 servings of rice, which will provide grains and other nutrients to compliment the proteins from the meats. What's included in each bucket? 720 servings of assorted seasoned freeze dried meat plus 240 servings of long term rice for a total of 960 servings.